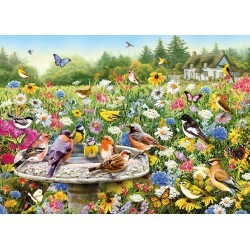 For those who venture to the end of the cottage garden, a true delight awaits! Thousands of beautiful flowers adorn the meadow attracting all manner of birds and insects, some of whom are enjoying a refreshing dip in the sunshine. 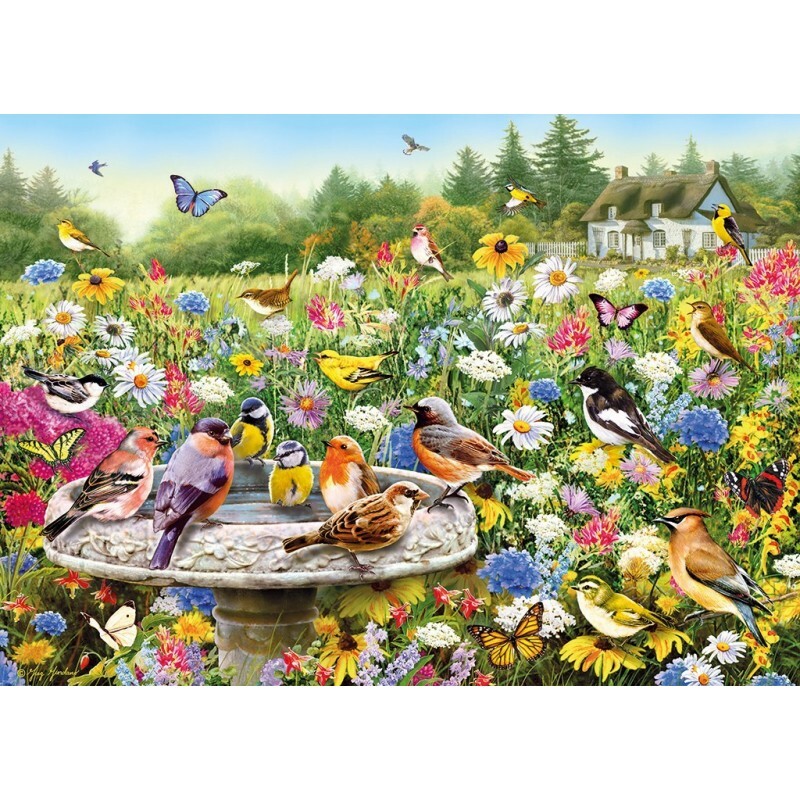 The pieces in Greg Giordano’s The Secret Garden puzzle are made from 100% recycled board of the highest quality and are therefore a joy to handle again and again.